As it makes its way to Emerald City Comicon in Seattle (March 2-5, 2017), Dark Horse Comics announces new plans for their latest Hatsune Miku manga license. The first of two Hatsune Miku: Future Delivery volumes is scheduled for a October 4, 2017 release with writer Satoshi Oshio and artist Hugin Miyama, the team behind the Overlord manga adaptation, telling the story first featured in their 2014 hit. MILWAUKIE, Ore., (February 22, 2017)—Hatsune Miku is a musical legend around the world—but now Earth is not enough, as the singing star goes to the stars! Her first science-fiction manga, the trade paperback Hatsune Miku: Future Delivery Volume 1, is slated for release from Dark Horse Comics on October 4, 2017. 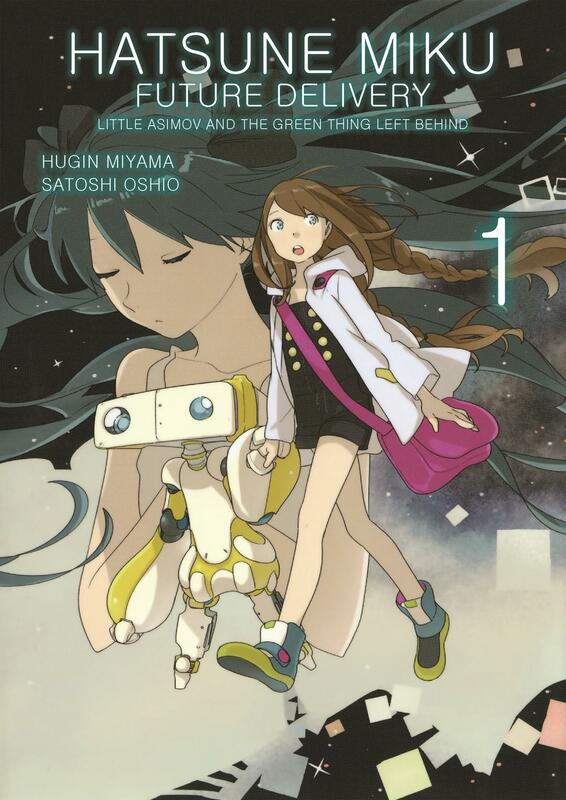 Writer Satoshi Oshio and artist Hugin Miyama tell a tale set in the distant future, where Asumi—a girl who has no clue to her memories but a drawing of a green-haired, ponytailed person—finds her only friend in Asimov, a battered old delivery robot. The strange companions travel the stars together in search of the mysterious “Miku,” only to learn the legendary idol has taken different forms on many different worlds! Hatsune Miku: Future Delivery features several full-color pages. Catch the J-pop superstar in Hatsune Miku: Future Delivery Volume 1 (of 2) and let the Vocaloid of Crypton Future Media sing!